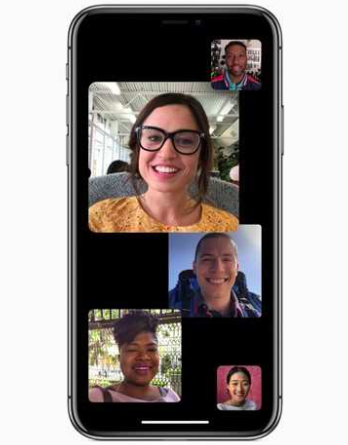 A bug that recently forced Apple to shutdown their FaceTime service has been fixed, and the new update has been sent out to all iPhone users. The bug allowed people to spy by forcing the receiver of the FaceTime call to answer the call without their knowledge. When a FaceTime call was answered, the sender of the call would be able to monitor everything that the caller was doing. They could see and hear what they were doing before the call was even answered exploit what they found. “You call someone on FaceTime and before they answer you swipe up and add yourself to the call, ” said Mr. Andrew Farrer, who works at the SHS tech office. People are able to see and hear everything that you are doing before you even answer the FaceTime call. There are many things that this FaceTime bug can do, but the main issue with it is spying. People are able to see and hear everything that you are doing before you even answer the FaceTime call. “You call someone on FaceTime and before they answer you swipe up and add yourself to the call, ” said Mr. Farrer, who works at the SHS tech office. This bug does many things, but it mainly gets people to answer FaceTime calls without their consent. This allows people to eavesdrop and spy on others before they can even answer the FaceTime call. “We tested a few more times and found out we could get people to force answer FaceTime calls,” said Grant Thompson, a 14 year old from Arizona who was the one that brought the bug to Apple’s attention, said in a CNN interview. The Chief Executive Officer of Apple, Tim Cook, said that customer service is a major issue that the company deals with. “In New York, we take consumer rights very seriously and I am deeply concerned by this irresponsible bug that can be exploited for unscrupulous purposes.”, said Cook. Thompson did not get a reward for bringing the bug to the attention of Apple, but says he should be reimbursed for his findings. “Apple should reward people for reporting things of this nature — not just reward the developers or the people who are savvy with tech,” he said. Apple has been very slow to act on the bug that allows people to spy on Iphone users. Even though this is a pressing matter for the company, they do not have a clear statement out for why it took so long to fix. “I’m not sure why it took Apple so long to fix it but it seems to me that it’s a sign that the company has not made the issue of listening to feedback from the customer a priority,” said Sharon High School technology integration specialist Stacy Newman.